I’m pleased to announce that the M3 Evo is no longer an ornament on my mother’s driveway – Ben fixed it yesterday! For those who don’t know, it had cut out on us one night and refused to start thereafter. We could tell that the ECU was alive and well, and as the starter would dutifully turn the engine we know the immobiliser wasn’t to blame. Yet it didn’t fuel or spark. We guessed therefore that the ECU wasn’t getting a signal from the crank sensor, as without that it wouldn’t know where to begin. 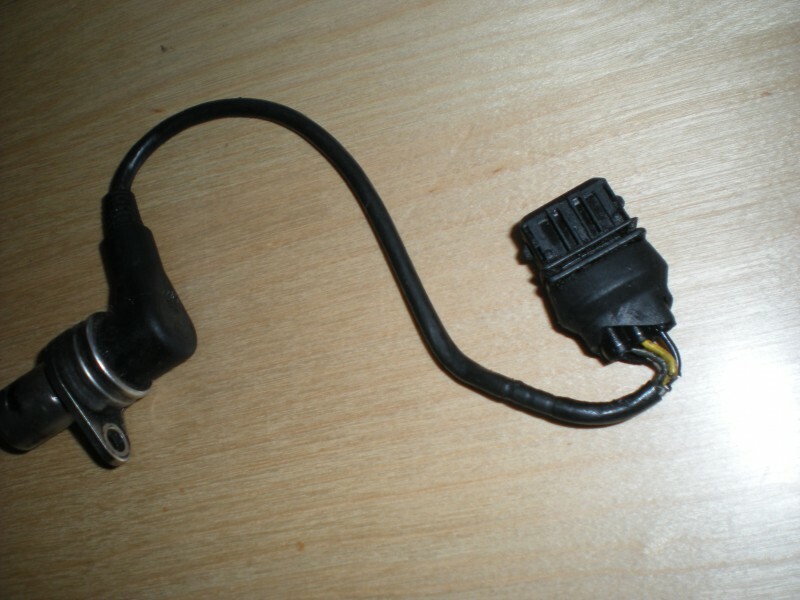 Ben whipped the fan off, and removed the crankshaft sensor and wiring – the problem was fairly evident straight away! We’ve peeled the boot back off the connector, and the wires under there were badly frayed and one was broken. We fitted the same part from the old engine and the car came to life immediately! On other matters, I’m pleased to report that the 330d passed its MOT without issues as I’d hoped. We’ve had a viewing for the 106R already – time will tell on that.